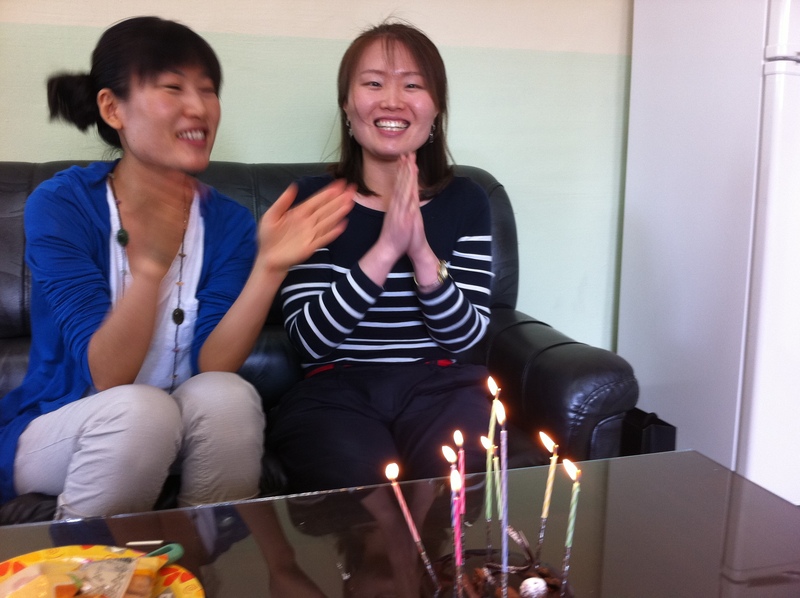 Sunday is Teachers Day in Korea, and it also happens to be my birthday. Right now the 6th graders are learning about birthdays so a few of them know that my birthday is coming up. I taught 5 classes of 6th graders today and it was not a fun day for them because they had 3 tests: vocabulary (writing), listening and speaking. Even though it was the busiest day I’ve had, I enjoyed the day because it meant I had one-on-one time with all of my 6th graders. During my second class, one of the boys got up from the speaking test (he only answered 1/4 correctly) and very sweetly told me, “Happy birthday!” Moments like that make my heart melt. Ahhh they’re so sweet! During another class, I was still out in the hall giving speaking tests during the passing period when 3 girls came to class singing me happy birthday. It was super sweet. After class they came back with gifts for me. 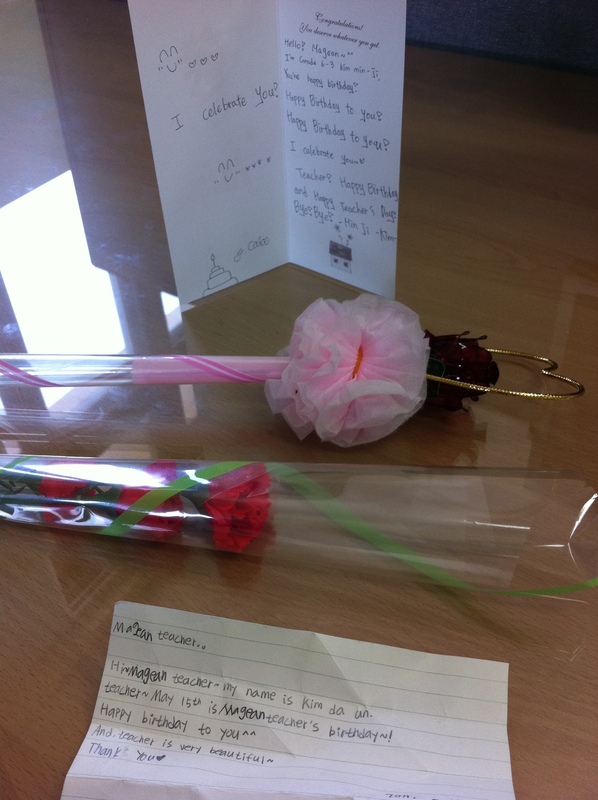 I got a card, a letter and two artificial flower bouquets. I absolutely loved it! You can click on the pictures of the gifts to enlarge the image, but in case you still can’t make out the writing, I have typed it out below. You deserve whatever you get. 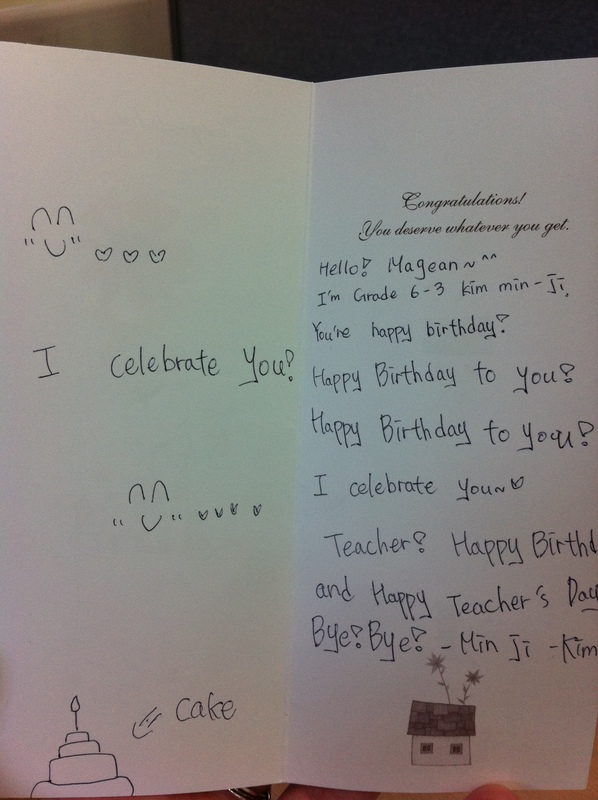 I’m Grade 6-3 Kim Min-Ji. 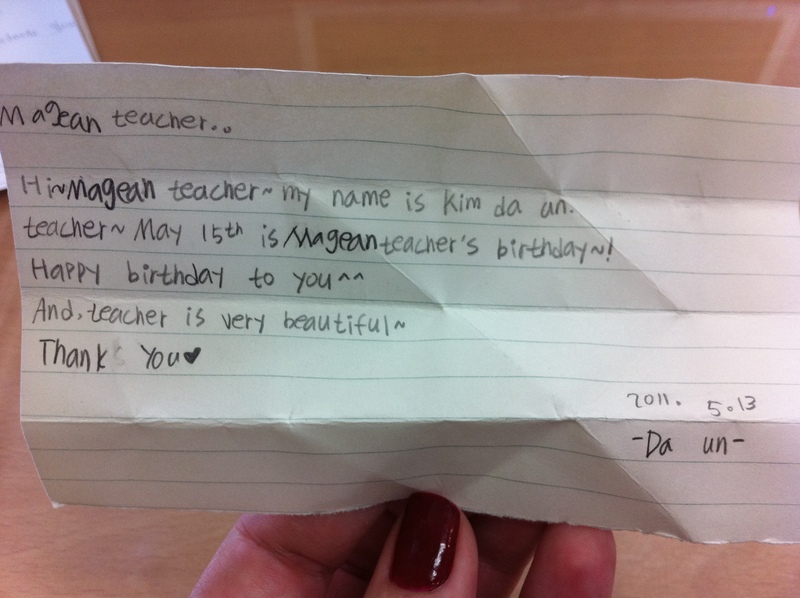 Hi~Magean teacher~ my name is Kim da un. teacher ~ May 15th is Magean teacher’s birthday~! 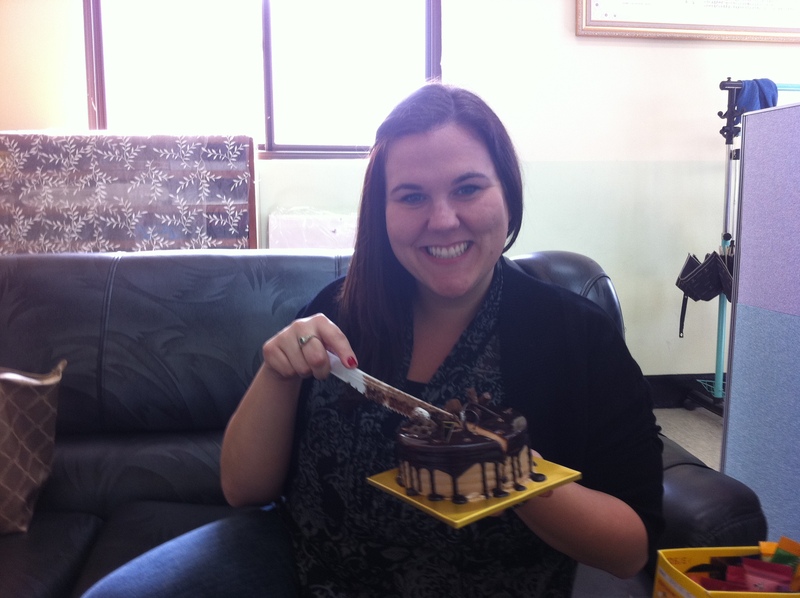 Later in the afternoon my co-workers surprised me with a birthday cake. It was a good day. I knew you would make a wonderful teacher. Happ Happ Happy Birthday! I just want you to know I love reading all of your posts, and looking at your pictures. I especially loved the pics of you at the baseball game in that awesome fortune cookie looking bonnet. You totally need to sport that to all baseball games when you come home. 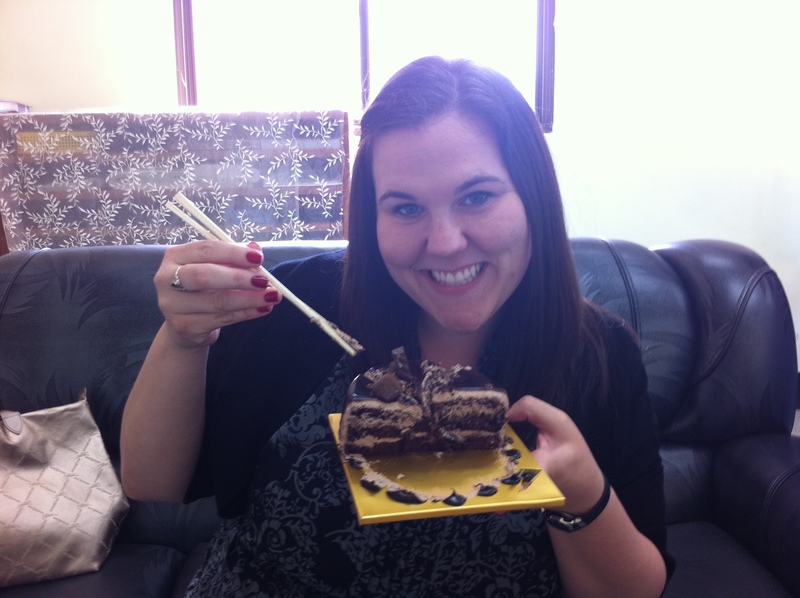 Anyway, i hope you had an amazing birthday and I am so glad it looks like things are going great in Korea. Miss you lots.